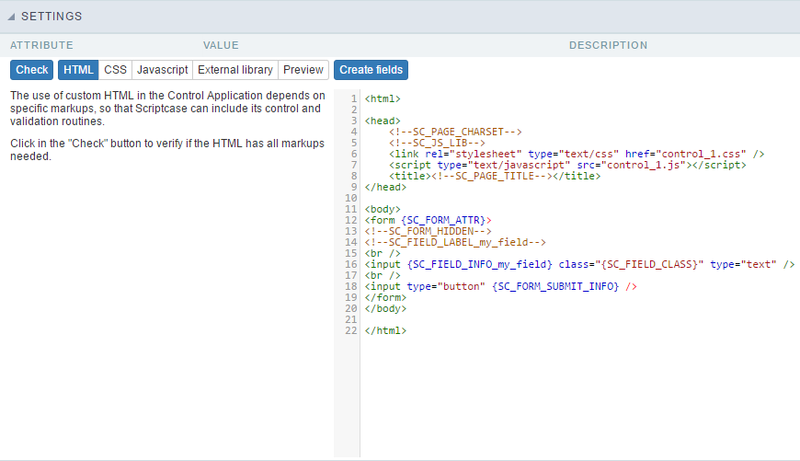 This option is available in the Control application if the item Set the template HTML manually template is selected when creating the application. 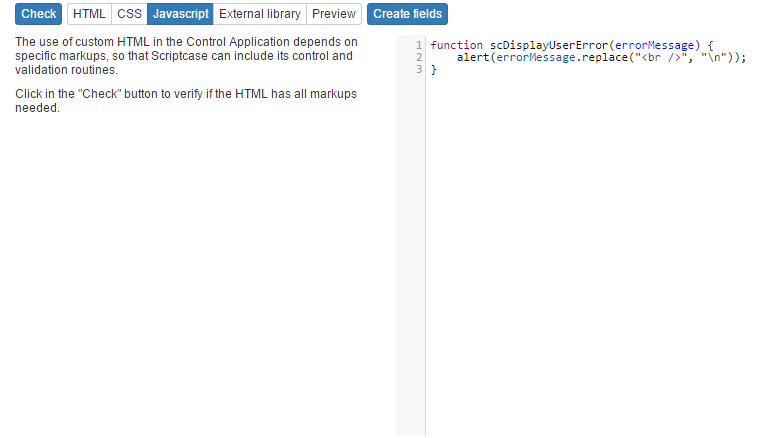 To use the custom HTML in Control, depends on specific Markups so that the Scriptcase can include its control and validation routines. 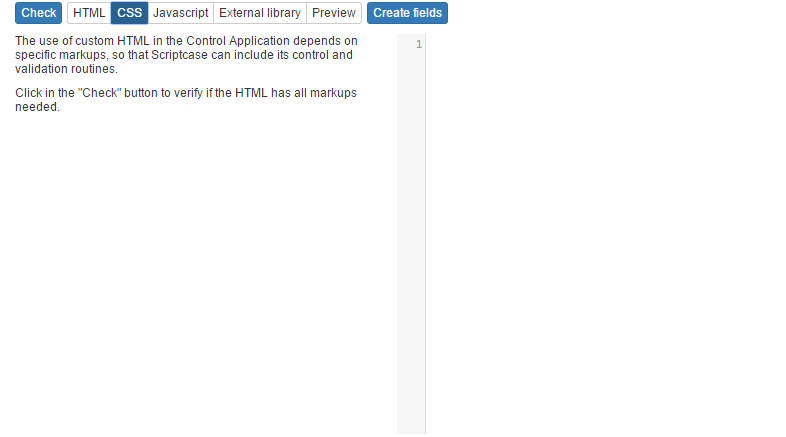 Clicking the Check button, it verifies the structure to confirm which Markups were used in the content of the HTML. 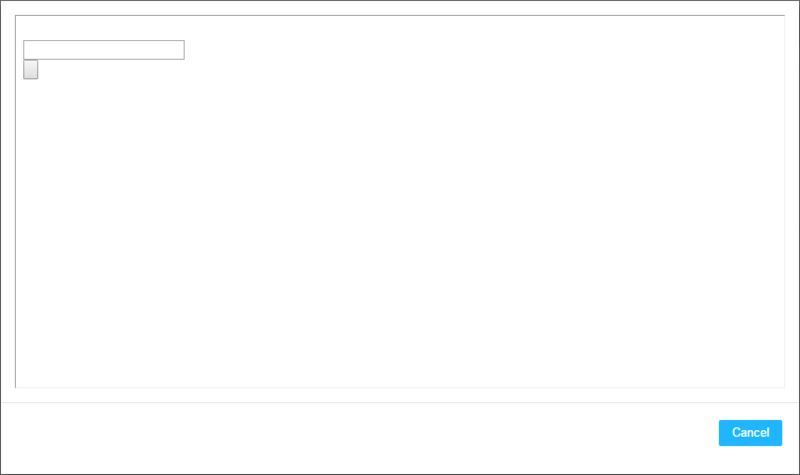 When clicking on the Markups of the Check item, a modal window is displayed with tips for using the same Markup. These Markups are not required, however, they are used to import files from libraries, images and other features. These Markups are of obligatory use in the item HTML. 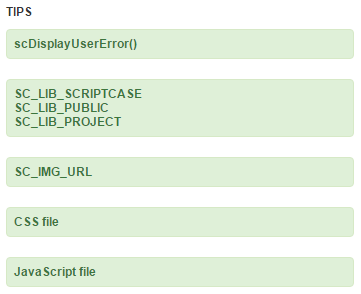 If they are not used, certain internal Scriptcase routines will not be executed. Like the category name, these Markups are optional, not influencing the correct execution of the application. In this item, we can insert the desired HTML, remembering to use the required Markups. In this item, we can use our custom CSS to take effect in the HTML code used in the previous item. You will see how the application will appear after its generation. 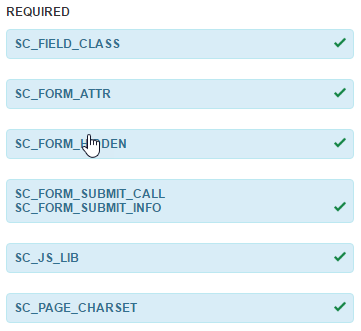 If you use field Markup before the field is created in the menu item Fields > New Field, and the item (Create Fields) is pressed, a modal window is displayed to synchronize the fields, after confirmation, the fields will be displayed in the Fields menu item. 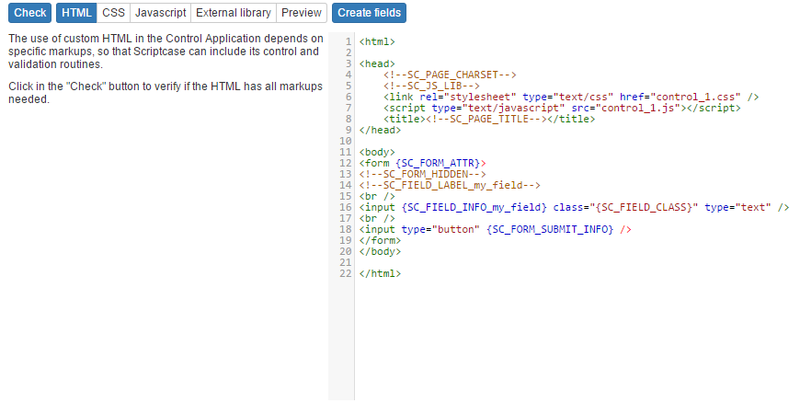 When adding fields from the menu item Campos> New Field, Scriptcase will automatically insert new mandatory Markups related to the newly created field to be used in the HTML item.